Balco makes homes more relaxing! Many of us are exposed to unwanted noise all day long. On our way to work, at work, and even at home. Today it’s difficult to ever escape noise. Traffic is the most common source of unwanted sound and it affects us more than we think. Exposure to noise that tends to disrupt the natural rhythm of life can affect our health enormously. These effects can include: general health issues, sleeping disorders, cognitive effects, hearing impairment, increased blood pressure and also cardiovascular issues. A way to reduce the risk and protect yourself and your family from unwanted noise could be to install an integrated glazing solution from Balco, since a glazed balcony form Balco actually reduce noise by up to 20dB. Integrated glazing with framed panes cuts noise levels considerably. The ear perceives a drop of 10 dB as a halving of the noise level. 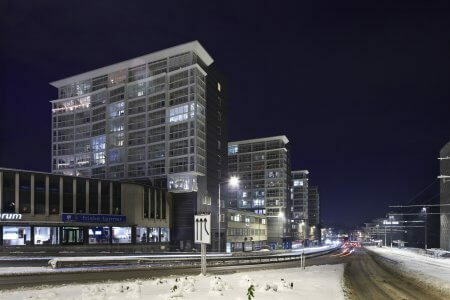 Ramböll’s study and previous measurements show that an integrated glazing solution from Balco cuts noise by up to 20dB. This 20dB reduction is when you’re out on your Balco balcony. The noise reduction inside your apartment varies from apartment to apartment. It depends on many factors such as: When the apartment was built, how it’s built, what the façade is made of and the quality of the windows. What we can ensure is that residents with an integrating glazing form Balco benefit from a brighter, lighter living space with good acoustic protection and a more relaxing environment. Positioned alongside a railway in London, Noise pollution was a fact. 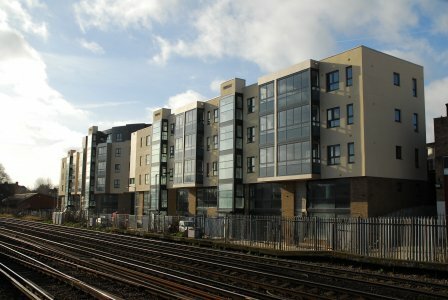 A need to reduce noise pollution from the nearby trains was a major consideration for this new build project and Balco’s balconies were a good solution. By adding glazed balconies to Clyde Terrace, Balco was able to give residents an extra outdoor space that could be used all year round and with less impact from outside noise. Balco changed the old rotten wooden enclosures to new aluminum system. This has not only changed the whole appearance of the house it’s also minimizes noise pollution from nearby main road and railway. 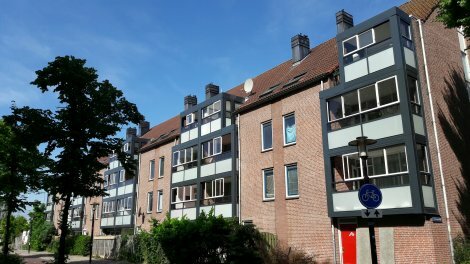 The façade on the four tower blocks in Krohnsminde, along the southern main entry road to Bergen, was in great need of renovation. The busy entry road also made the need for noise reducing glazing necessary. Together with the architect, Pål Jørgensen, Balco developed an attractive and functional solution. The result exceeded all expectations. Apart from an oasis where the 180 householders could relax protected from traffic noise, wind and weather, their balconies were as much as 3 to 4 times larger than before. The stately Krohnsminde has become an eye-catcher and a dignified entry to the city.